The Walt Disney Company is working hard to welcome Maker Studios (which it acquired in March 2014 for somewhere in the ballpark of $500 to $950 million) into the Disney family. The two brands partnered to host the #DisneySide All-Star Creator Conference, which took place January 15-18, 2015 at Walt Disney World Resort. Disney and Maker’s Creator Conference was developed to help inspire and grow the careers of Maker’s 55,000+ content partners as part of the Disney Side initiative. As the event title indicates, the conference boasted seminars, discussions, and presentations about how to succeed online from a cavalcade of Maker’s digital stars that included the likes of ShayCarl, Stampylonghead, AlphaCat, Charisma Star, and Nice Peter and EpicLLYOD of Epic Rap Battles of History (which recently concluded a truly epic fourth season). The speakers and attendees were, of course, all encouraged to show off their #DisneySide. In addition to the conference, video creators were able to hang out with each other after-hours, explore Walt Disney World, and film anywhere within the park’s limits to show their #DisneySide. And if Maker’s social media accounts were any indication, the MCN’s creators did plenty of all three. Overall, the #DisneySide All-Star Creator Conference appears to have been a success. 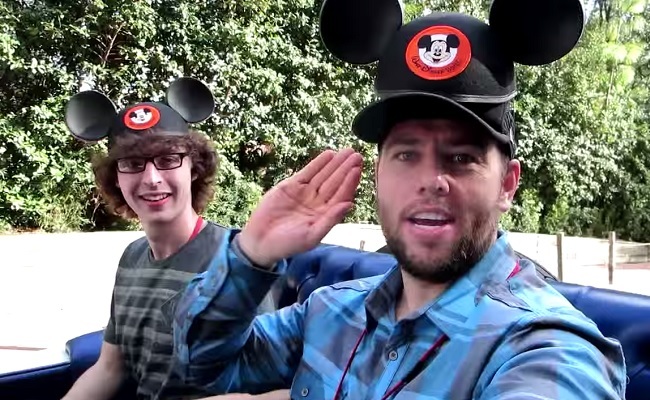 The creators look like they had a blast and it was one of the first steps of many to make Maker Studios feel more at home within the Disney family. We wouldn’t be surprised if Disney and Maker resurrect the event again for next year as part of a slew of other co-branded initiatives.